Come join us Downtown Shelton at Evergreen Square, next to the Clocktower on Railroad, between 3rd and 4th Street. 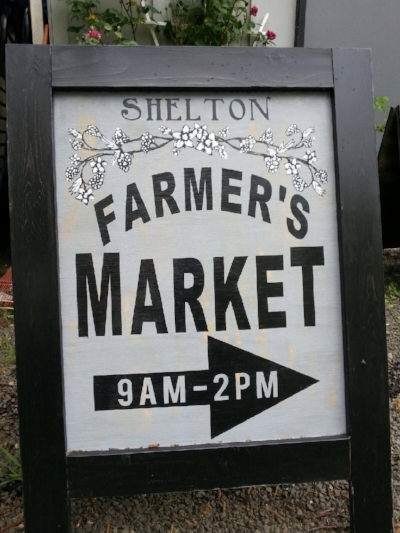 Our mission at the Shelton Farmers Market is to offer a forum for small local growers and others to make their fresh, local, and seasonal produce and handicrafts available to the community and to support farming efforts in Mason County and adjoining counties. Come see us! Buy local! Join us at the Shelton Farmers Market this summer for some exciting, family-friendly events! Kids Day is our most popular event of the year! Join us on June 16th to celebrate the beginning of summer! 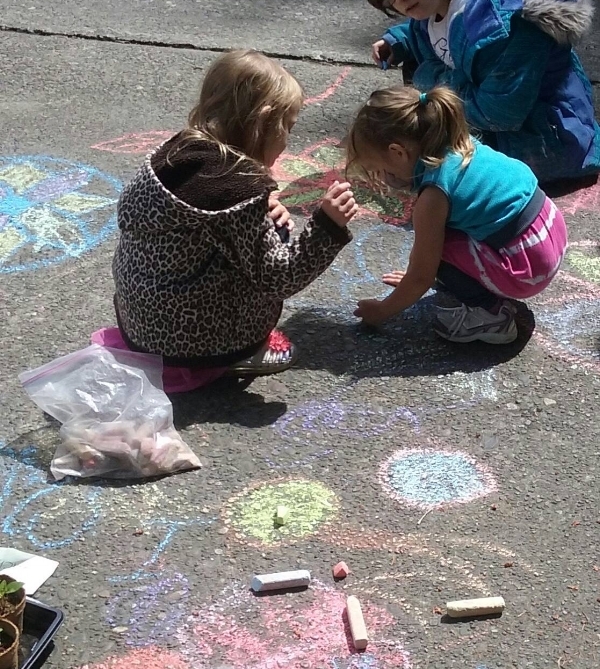 Bring the kids down to have fun at the market! We will have a treasure hunt for the kiddos to participate in with fabulous prizes from some of our sponsors. We are planning a second Kids Day this year on September 8th to celebrate back-to-school! Bring the kids to the market for some fun harvest activities! 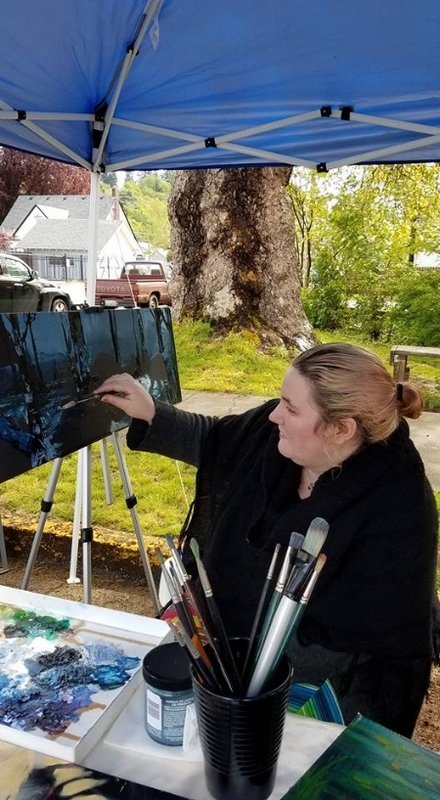 Join us to see and experience the best artists in Mason County display their creative talents. Sign up for our newsletter to hear about opportunities to participate in pottery, painting, spinning, or photography demonstration classes. The market is partnering with local chefs to bring some cooking excitement to the market this year. Come watch what they can make with just items found at the market and a few spices! Watch the weekly newsletter for announcements about who will be cooking at the market! You don't want to miss these! June 23rd - Watch our Chef make a delicious fried green tomatoes and try samples! July 28th - Come taste salsa made with ingredients from the Farmers Market! Aug 25th - Pepper Palooza! Shishitos, jalapeños, serranos, and habaneros! Sep 22nd - The best of fall flavors at the market in a delicious Pharmacy Soup! You can be a part of the Shelton Farmers Market in many different ways! We always need extra help at the Market. Check with the Market Manager to help with running the market booth, scheduling entertainment, or with an event at the market. We would love your help! Do you love having a place to buy fresh, local, and seasonal food directly from a farmer? Help us support our mission by becoming a Friend of the Market! Get a free tote bag or mug and coffee! Are you a local business looking to make an impact in your community? Sponsorship of the market enables us to provide our community with education on farming and nutrition.